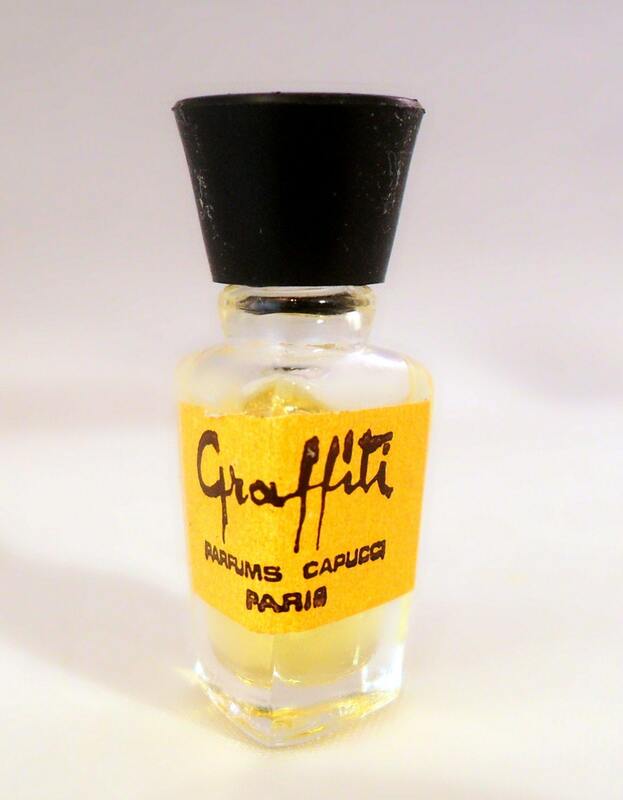 Vintage 1960s Graffiti by Roberto Capucci Micro Mini Perfume Miniature Parfum Splash Bottle. 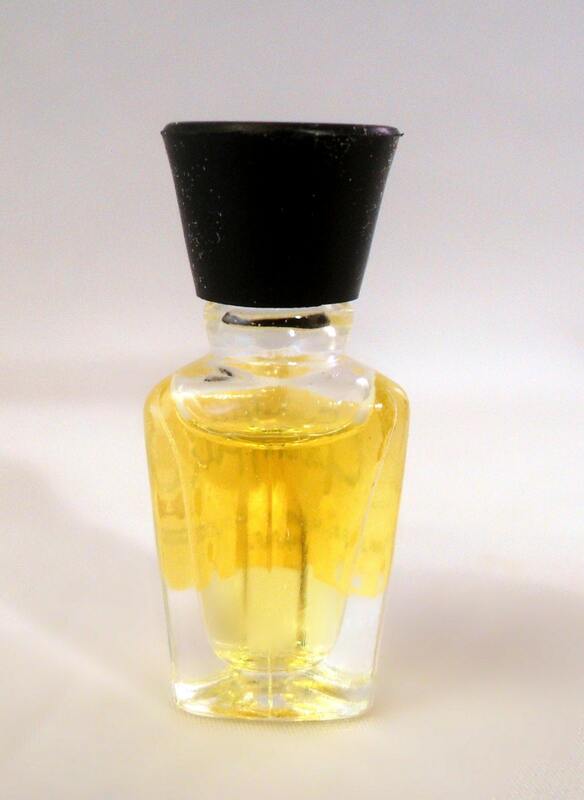 It stands 1-3/8" tall and is full to the level shown, with no indication of volume. 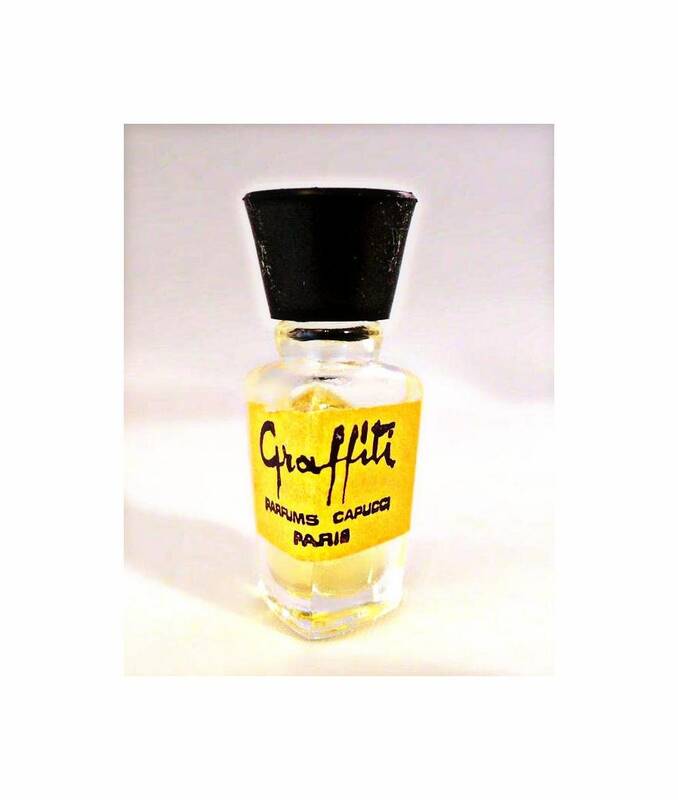 Golden yellow label with black lettering and flared black cap. This is a splash bottle. Bottle has no chips or cracks.